This is our Breakfast room. I love how this looks at night. With the french doors wide open and the lighting. It says, come on in! This tablescape is high drama with the black and gold. and leopard print. I added a leopard print pumpkin for fun. We recently bought two of these from Hobby Lobby. My Mother and I went shopping earlier this week. We thought we could make some of our own pumpkins. We are looking at making some wreaths too. Twilight lighting outside, the magic hour. 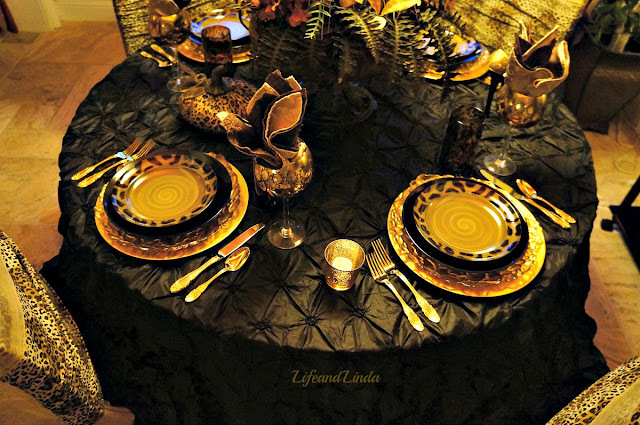 I am using gold chargers with gold plates, black dinner plates, topped with leopard salad plates. Leopard glasses and gold goblets from Zgallerie. 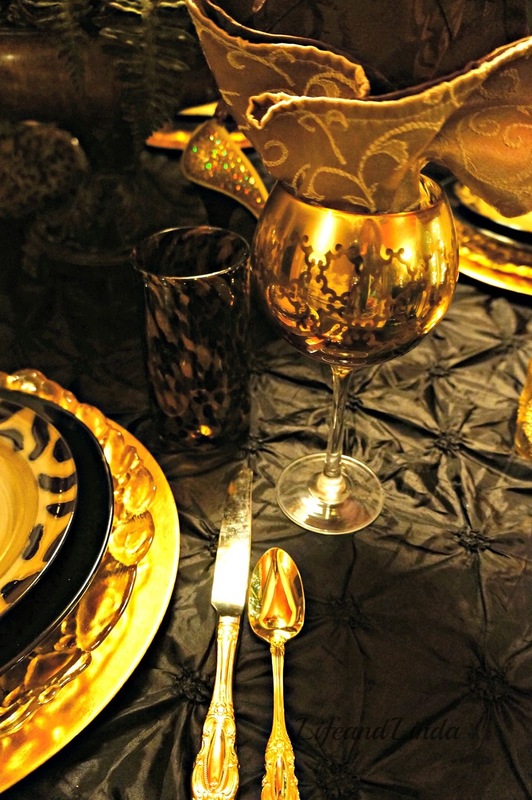 Gold flatware follows the theme. My husband and I were out shopping at Pottery World and we spotted these beautiful candles. I thought they would look fabulous on our mantel. I decided to include them in this tablescape. They are so pretty. Of course you can't buy them just anywhere. They sell to retail. Of course I had to include my thrifty nifty trick of using pillow cases. These are from the Dollar Tree. Have a fabulous weekend. I am slowly adding Fall decor to our home. I love the look! Our French doors open OUT like yours. Beautiful settings! I love the idea of using the pillowcases! You are right it is so you! That is a lovely room..the light in your home looks so warm Linda. How sweet Monique. Great quote! Love my glitter! So beautiful especially at night and it does look very inviting with the doors open! Pretty plates and tablecloth. Love the glittery shoe bottle holder and the leopard print pumpkin. The candles were a beautiful find. Al the stores are loaded up with fall decorating goodies. I would love to visit that Pottery World. Thank you Liz. I love taking night shots of this room and patio. Those candles are killer. I want more! 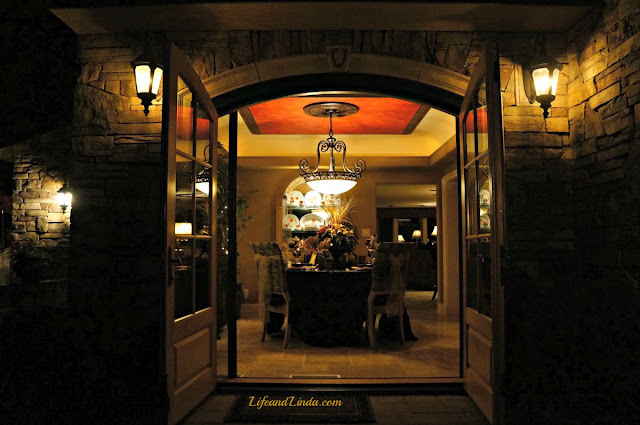 Beautifully done, Linda....I would certainly be happy to have been invited to dinner! Thanks so much Linda. I wish you could sit with us. It would be my pleasure. OOOO! Swanky! I had to go through about four times to make sure I took it all in. I think we have the same flatware pattern, so you just gave me some wonderful ideas. I need to find some leopard things, definitely. Such a clever idea to use pillowcases as chair-back shrugs. Thanks Ellen, do get some leopard accessories for fun. That flatware is so pretty, glad to know you have the same. Get styling! The pillowcases on the chair backs is a super idea! 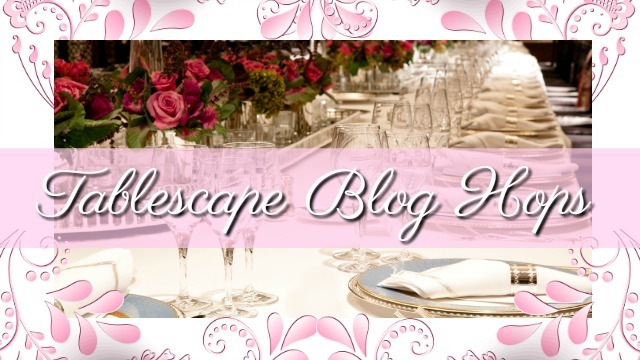 The whole tablescape is gorgeous! Yes, pillow cases...my neat little trick! A beautiful room and love those candles! Gorgeous! What high drama and elegance. This table is absolutely stunning from the glorious candle to all the plates, to the high heel to the centerpiece and everything in between. Loved it! Thanks Valerie, I appreciate the warm compliment from another wonderful tablescaper..
Beautiful! Love your creativity with the pillow cases! So glad to see you here for a visit. Gotta love those pillow cases. You sure know how to style a gorgeous table, Linda! The high heel wine holder is just too cute and I always love your clever idea of using the pillowcases for your chair backs, and so thrifty, too. Thanks Kitty. Isn't that gold glitter high heel the best? Gotta love those pillow cases. Gorgeous table, Linda! 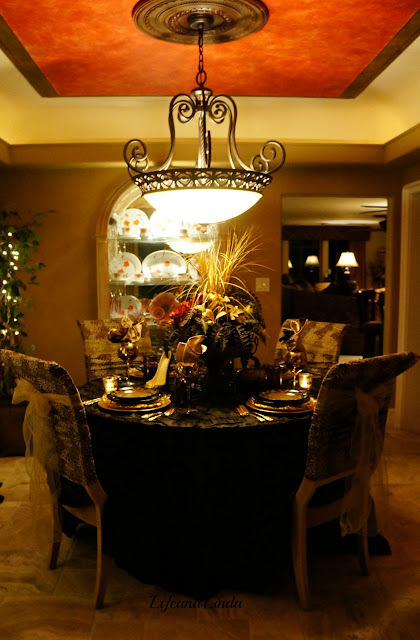 I especially like the first photo that shows your burnt orange ceiling...perfect for fall. Love all the leopard touches. I was wondering if you bought material to MAKE the chair covers! The pillowcase idea is genius!! I have to measure my chairs now!!! I adore this table, it is ME too!!! Just gorgeous. No, go to your local dollar store and grab different colors. 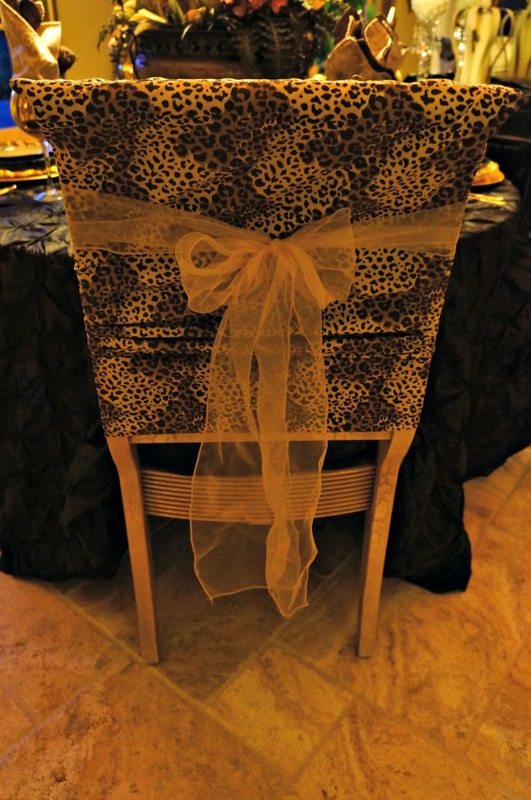 It works great when your chairs are a different color and you want to blend them with your table setting. And cheap! Beautiful home (have taken the virtual tour). Gorgeous table, breakfast room. As same as the others, love the pillowcase idea! Where can I purchase a tablecloth such as yours? Hi Janie, thanks so much! You can purchase the tablecloths at Linentablecloth.com. They are reasonable and come in different colors. I can see a lot of fun being had at that table! Its just gorgeous Linda...Love it! Thanks Christine. I definitely had fun with this table. The lighting makes a big difference too. Wow! 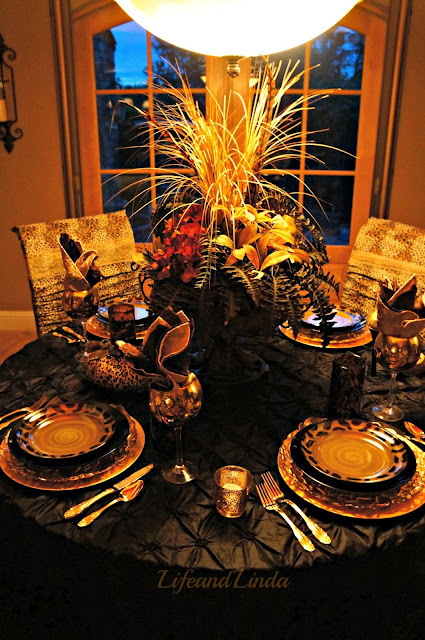 Hi Linda...beautiful tablescape and I love how it looks in the evening. Stunning! Your table is the ultimate in imagination and elegance! 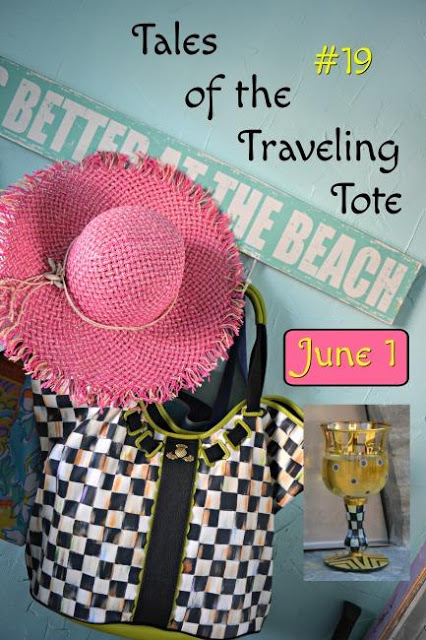 Very fun, too...I love the high heel wine bottle holder and the pillow case idea is fabulous. Wow---you have inspired me!! 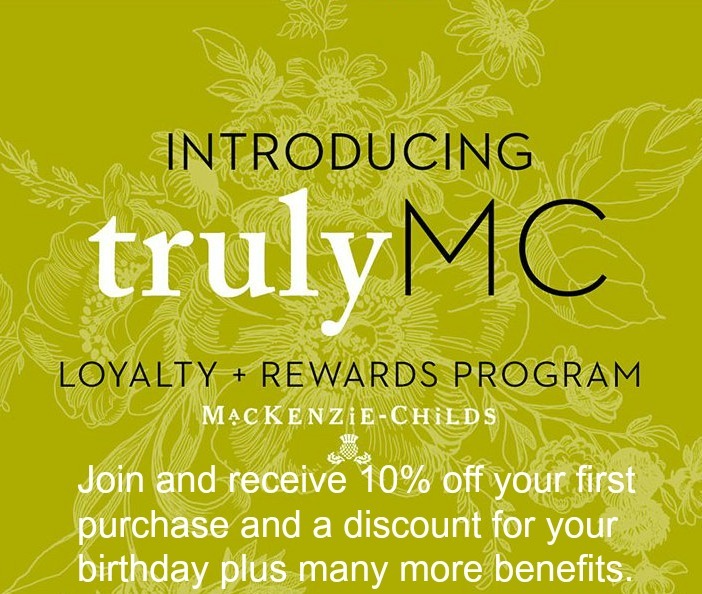 Guests will be talking about this for a long time!! Thank you Jane. I am so glad to connect with you too! 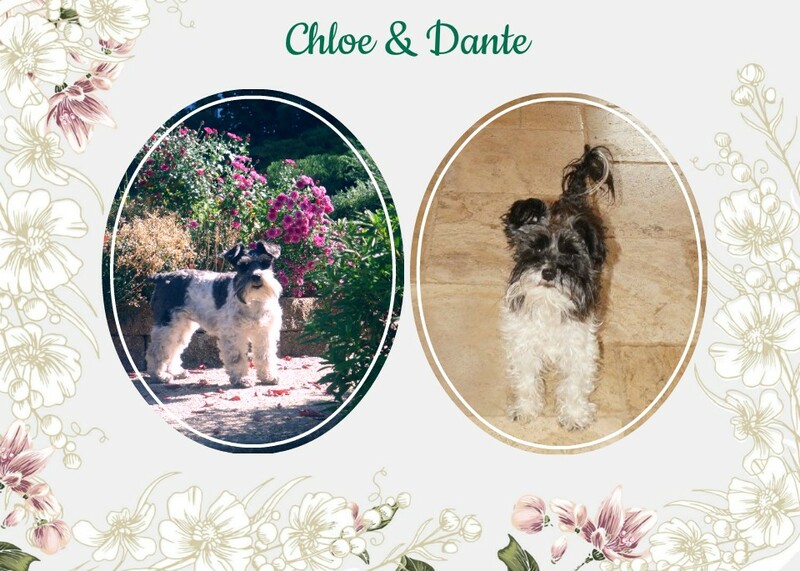 Your blog is great and both are dog lovers. You are so sweet! 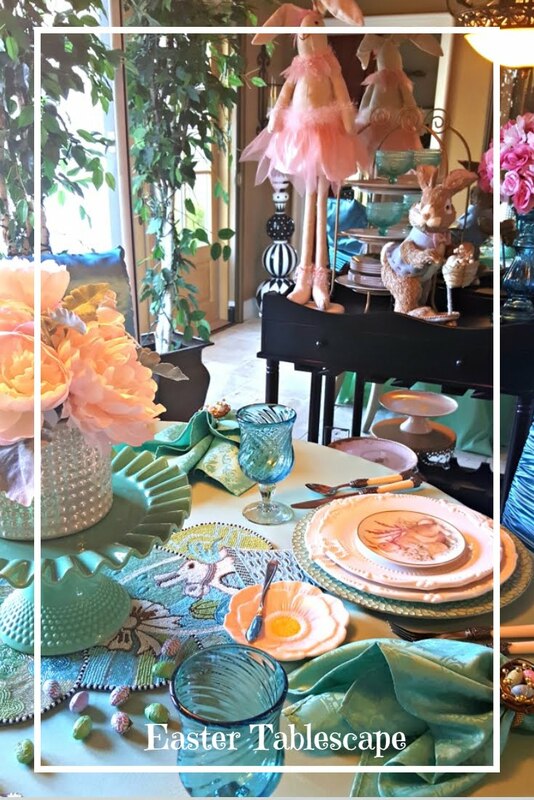 I was reading your post earlier in my email today and was blown away by this great tablescape! Love that you titled it 'high drama' because it definitely is! How fun and exciting. Love the wine holder, the candles, the place settings...love it all! Such a talented designer you are, Linda! Hi sweet friend. Thanks so much! It is high drama and I really enjoyed setting this one up. Glad to hear you are relaxing. Good morning dearest Linda! I am late; out Saturday running errands before school officially starts on Monday! OOOOH How I love your breakfast room; it's like a dining room for some folks, but you have such a great space here to entertain on a smaller yet elegant scale. That glittered shoe is awesome for a wine bottle! I thought fall was on its way here since we had some cooler weather, but summer is lingering and that's great. But soon fall will be here and I can decorate too with my white pumpkins! Linda, looking into your breakfast room is breathtaking! High drama, indeed!!! 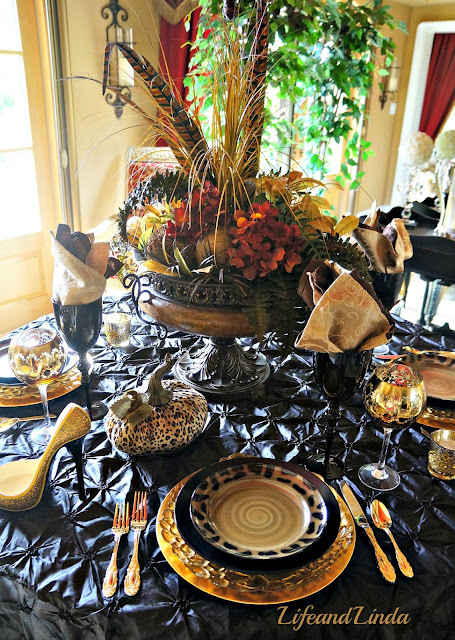 Every detail is just gorgeous and I love the striking black and your tablescape, incredible! Total perfection! So luxe and rich! Wonderful details! Just telling you again how much I like your ceiling! Thank you Marigene. I painted the ceiling myself. 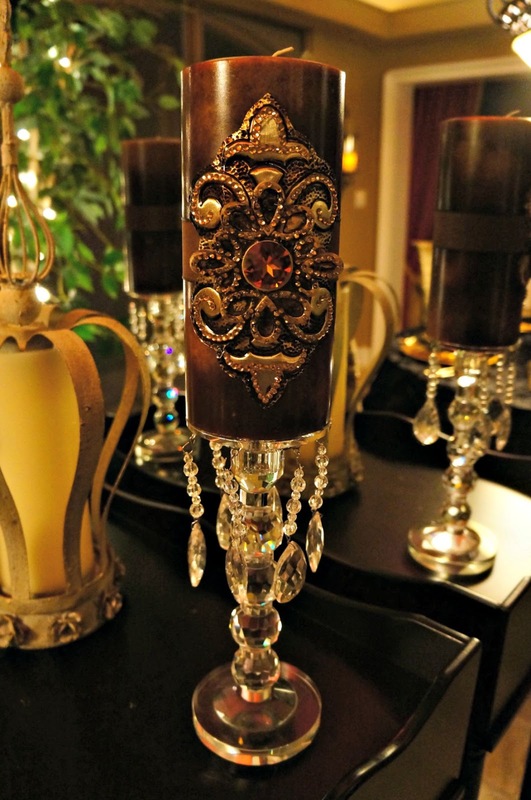 it is faux painted with some red, gold and bronze. I painted the border too. Hi Linda, your breakfast room is so pretty. Looks like you make every room and occasion special. I love the drama and the view with the open doors is stunning! Hi Linda! You've done it again! Your table is so pretty! Love all you've done here and the view from your doors is lovely. Your home is really beautiful and grand! Thanks for popping in to see me. Woweeee! Drama in every inch. Great contrast, texture and some cheap, cheap finds. You Go Girl! 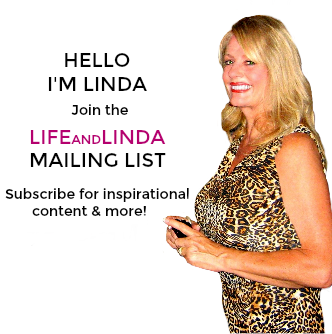 Sweet Linda, I am so happy you joined Roses of Inspiration this week! And my, what a beautiful post! Your tablescape is elegant and stunning, my friend. Thank you so much for sharing with us. May you have an extra special September. Hugs to you! L o v e the "pillow case" dressed chair backs!!! The above commenters have nailed it in their comments! This table certainly deserves the highest praise, Linda. It is sumptuous glamour even though some of your elements were bargains. And the view from outside looks like a cover of AD magazine. And that gorgeous tablecloth sets the stage for everything on it. That is a gorgeous table setting!! 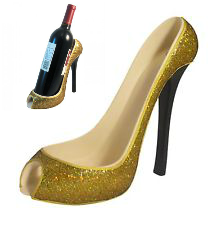 Oh, look at this cute glitter high heel wine holder! Your table looks stunning, Linda. I have seen these candles at Pottery World, as I go there about once a month. You have all the pretty Fall colors adorning your table. Your taste and mine are so similar! 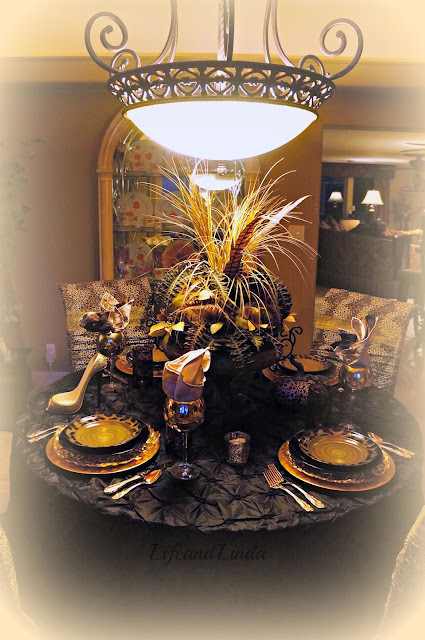 I think this glitz and glam table is just fabulous, and I am going to have to add to my tablecloth collection - the black pinch pleat is wonderful. Those gold shoes are stunning. What a pretty room and I love that you showed us the view from outdoors - yes I want to come in!! Tres chic! Love, love, love it Linda. Ooh, and those high heel wine holders are the absolute cutest thing ever. Beautiful dramatic tablescape. Hi Linda, your breakfast area is gorgeous. 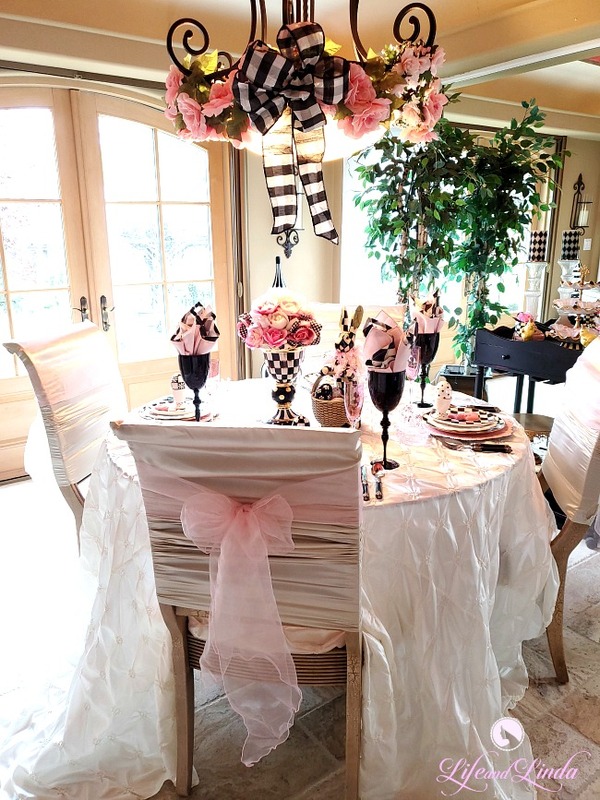 Love the tablescape you created and I always enjoy to see the look on the chairs with the pillow cases. Wish our Dollar Tree sold pillow cases. Love those gorgeous candles. The high heel shoe for wine is awesome.